Legendary Brum Beat singer Dave Lacey who supported The Beatles and other great 1960’s stars will return to King’s Heath to headline a special three hour charity concert at Fletchers on Sunday 7 December. 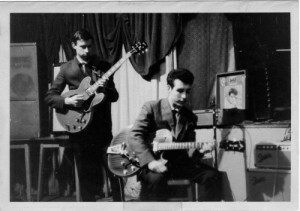 Dave Lacey and the Corvettes were regulars at King’s Heath’s Ritz Ballroom and other clubs on the Regan circuit in the 1960’s. Now Dave along with The Corvettes’ rhythm guitarist Roy Pinson and drummer John Dudley will return to King’s Heath and be joined on stage at Fletchers by lead guitarist Dave Brettell and bass guitarist Anthony Smith in a great line up known as Dave Lacey and Buddies. Originally formed to play Buddy Holly songs, the hugely popular Stourbridge based group now play a fantastic selection of great rock ‘n’ roll songs from the late 1950’s onwards. All money raised is to go towards trying to establish a Brum Beat Pop History Museum as part of a new Arts Centre on the site of the burnt down ballroom. 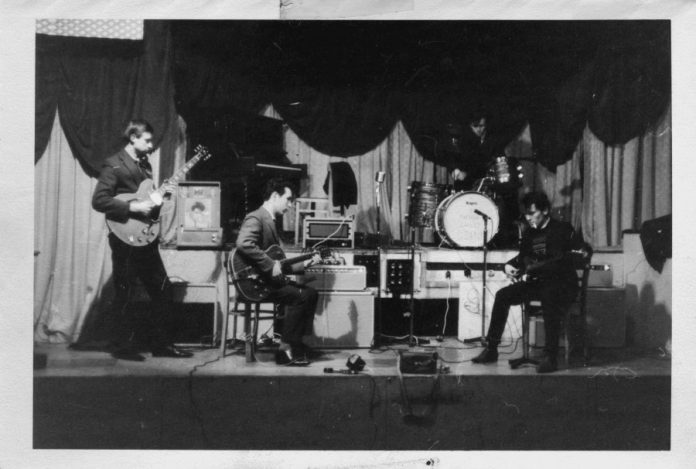 Dave Lacey and The Corvettes became regulars at the Ma and Pa Regan owned Plaza in Old Hill after winning a talent contest but frequently doubled up by playing at the Ritz Ballroom and other Regan owned venues on the same night as well. They supported many of the greatest artists of the 1960’s including The Beatles, The Rolling Stones, The Animals, Bill Haley and Jerry Lee Lewis. With the Regans acting as their agents, they performed 3 songs on the famous Brum Beat album released by Decca in 1964 and had a single “That’s What They All Say” penned by Dave Lacey released on the Phillips label in 1965. Dave Lacey recalls “I’d be sitting at work on Friday afternoon thinking about who we’d be playing with that weekend. I couldn’t wait to see Dusty Springfield live and she was just superb. The Beatles were just The Beatles. How can you describe something unique? It was a privilege to be on the same bill not once but twice”. Dave Lacey and The Corvettes played their last gig in 1980. He got together with his current band Buddies in July 1997 after meeting lead guitarist Dave Brettell. Dave Brettell recalls “We discussed if there were enough Buddy Holly numbers to create a complete show. We were amazed how many there actually were considering Buddy’s relatively short career. Our first try out was at The Mitre pub in Stourbridge and was such a success that we have been together ever since and now play a great selection of rock ‘n’ roll music including one or two of Buddy’s greatest hits”. Local residents Bob Prew and Ken Whittaker said, “We are delighted to welcome a genuine Brum Beat legend back to King’s Heath to perform as we continue to promote the musical legacy of the Ritz Ballroom. All the money raised will go towards establishing a Pop History Museum on the site as part of a proposed Community Arts Centre”. Starting at 3 p.m. Dave Lacey and Buddies will appear as the main act in the latest of King’s Heath Walk of Fame’s popular Lazy Sunday Afternoon Sessions on Sunday 7 December. Advance tickets cost just £3 from Kitchen Garden Cafe or www.wegottickets.com. Any remaining tickets will cost £4 on the door.